This is the measurement interchange for the Great Pyramid of Egypt. 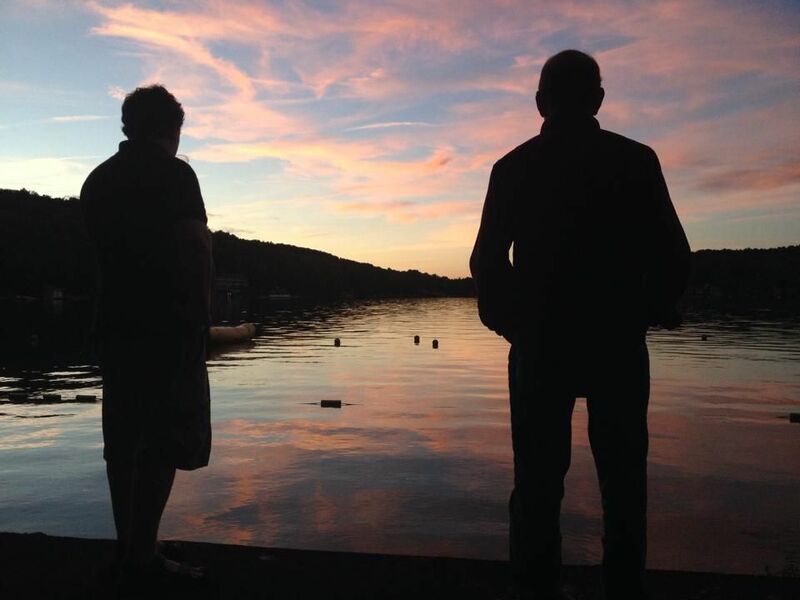 Meditating with one of my sons at sunset on beautiful Oquaga lake. It is perched some 2000 feet above sea level in the Catskill Mountains. The water is crystalline clear. Go around the perimeter overlapping two number at the time: 49 + 92 + 27 + 76 + 61 + 18 + 83 + 34 = 440. The square base of the Great Pyramid measures 440 cubits on each side. Go around the perimeter again by single numbers and add them: 4 + 9 + 2 + 7 + 6 + 1 + 8 + 3 = 40. Add the numbers of the two perimeters thus far” as 440 + 40 = 480. The height of the un untruncated Great Pyramid is 480 feet. Add opposite numbers around the perimeter three at the time as 438 + 672 = 1110. This number-1,110- can be found in 7 more ways. The perimeter around the Great Pyramid is also 1,110 megalithic yards. Thus, we have found the functioning of the three primary units of antiquity demonstrated at the Great Pyramid through this simple number square. Speaking of Michell’s mention of poetry, I have a book of poetry called The Oquaga Spirit Speaks. Here is a sample.